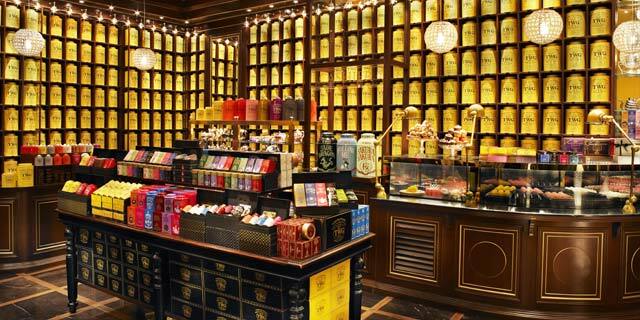 Luxury tea brand TWG Tea celebrates a new era of tea appreciation in the Philippines with the opening of its sixth Salon & Boutique in Conrad Manila. The new TWG Tea branch will be nestled on the first level of Conrad Manila’s S Maison, spanning 200-square meter and could accommodate 34 diners. Just as the previous branches, the tea salon and boutique combines tradition and modern elegance reflected by its interiors and its posh location. The TWG Tea was first introduced in the country in 2012 with its first branch in Greenbelt 5 Makati followed by other branches in Shangri-la, BGC, Powerplant Mall and Resorts World Manila. The TWG Tea collection includes over 800 fine harvests and exclusive tea blends, sourced from over 200 tea plantations in 46 tea producing regions across the world each year. All of the teas may be enjoyed in the Tea Salon as well as purchased by weight from 50 grams in sachets or in one of the brand’s 45 bespoke tea tins. Signature offerings include TWG Tea’s most celebrated Haute Couture Tea Collection, crafted according to the flavors of the season. Customer favorites include the signature Silver Moon Tea, a green tea accented with grand berry and vanilla; 1837 White Tea, a floral white tea blend; and Chocolate Earl Grey, world’s first black tea blended with bergamot and dark chocolate, along with other enchanting collection of tea accessories, wide assortment of tea-infused patisseries and Tea Gastronomy offerings.